As we move closer to the observance of National Hispanic Heritage Month, Sept. 15 to Oct. 15, I think of how I strive to honor my history, my culture. As a native Dominican, having lived most of my life in the United States and in large Latino communities, I never gave much thought to the annual celebration of Hispanic heritage, since how every day I was fully aware and living among my people. I’ve lived in Los Angeles, New York and Miami Beach, and though I’ve been in the Midwest for nearly a quarter of my life now, my lifelong personal mission remains to better educate myself about the history and the complexities of what it means to be from the Dominican Republic. Both my B.A. and M.A. degrees resulted from this strong desire to gain more knowledge about the European (Spanish), African and Taino bloodlines that make up Dominicans, and in most of my pursuits, I search for contributions from underrepresented voices. Reyna, mother of former sponsored child, Rogy, outside of her clothing store in the Dominican Republic. On a bright sunny day in the Dominican Republic, Reyna stands across the street from the tree where it all began. She looks on feeling proud and accomplished. She represents the dreams of Unbound. 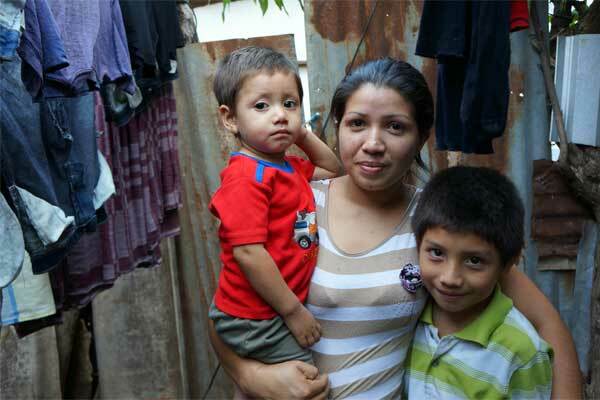 Salvadoran mother Maria with sons Diego (left) and Osacar (right), who is sponsored through Unbound. Happy Mother’s Day from Unbound! As you get ready to celebrate your mom on Sunday, take a moment to check out all these amazing moms from around the world. They are overcoming great odds to give their children better futures. And don’t forget to share your Mother’s Day photos with us on Monday. Post a photo on Instagram of your mom or a photo of you with your mom, tag @Unboundorg and use the hashtag #MotherMonday. Alicia, from the Dominican Republic, is an Unbound scholar and mother of a sponsored child. She studies hard so she can get a better job to support her family. Though Esteban, from El Salvador, may be taller than his mother, Lucely, he will always be her baby boy. These Guatemalan mothers work together on livelihoods to earn money to support their families. Widowed mom Nida with her five children at their home in the Philippines. These moms in Peru are proud to be leaders in their community and speak out against violence in the home. Bolivian mom Florencia and her three oldest kids in their urban garden. Indian mom Maan Devi makes anklets and sells them to support her children. Mary with her two youngest kids, Veronica and Elijah, who are sponsored through Unbound in Kenya. 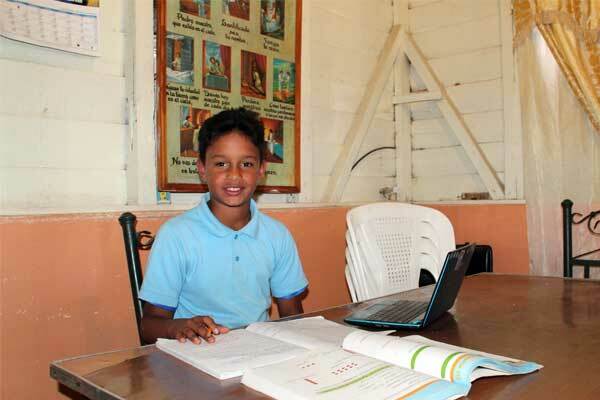 Juan completes his homework using his new laptop computer. Sometimes, smarts just run in the family. Juan, age 11, has been showing off his smarts for the past few years. 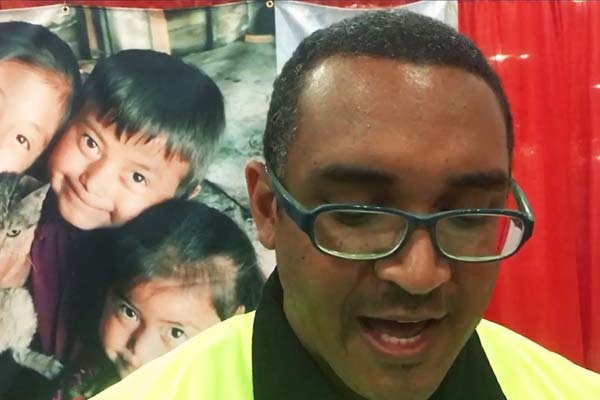 He was recognized recently with an Education Excellence Award from Unbound in the Dominican Republic. The Unbound staff in the Dominican Republic created the Education Excellence Award to recognize students who achieve grades with an average 80 percent or higher in every subject and get good reports on their behavior and overall participation. Students who qualify are invited to a ceremony where they eat lunch, receive medals and watch artistic presentations. The student with the highest award wins a brand new laptop computer. 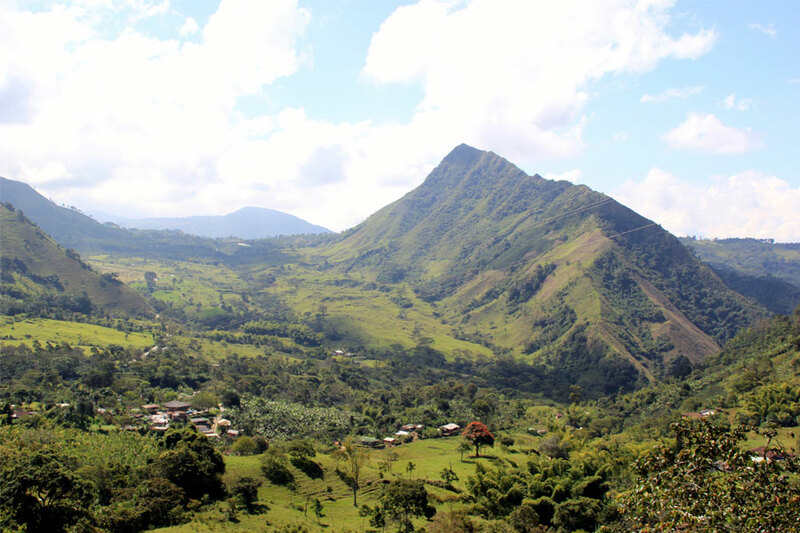 Unbound works in a bunch of beautiful places, and Antioquia, Colombia is certainly one of them. The Unbound family is just as bright and colorful as our logo. We’ve put together a bunch of photos to show you just how colorful our communities around the world can be. Juana, 82, from the Dominican Republic, practices writing in a literacy class for sponsored elders and parents of sponsored children. 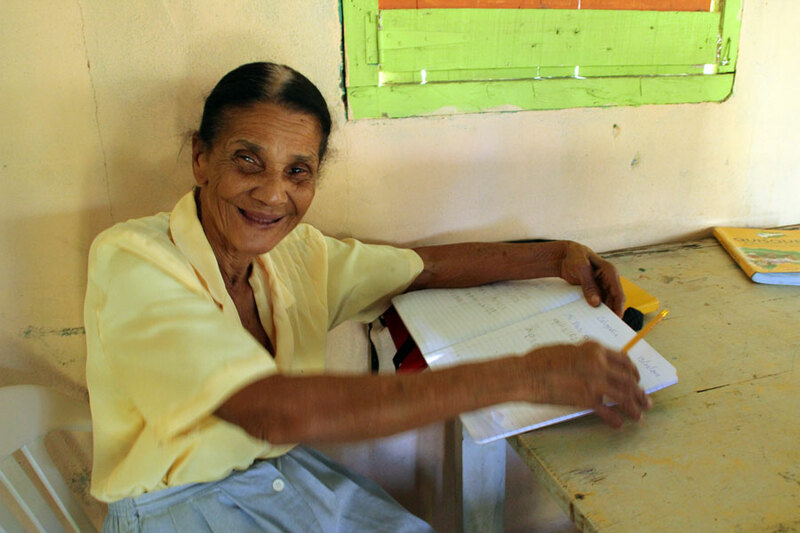 Juana, a sponsored elder through Unbound in the Dominican Republic, is part of an elderly group learning to read and write. You can’t miss her energetic smile and voice. She also catches your attention with her sparkling eyes and motherly attitude. The Unbound office in the Dominican Republic started a tutoring class for sponsored friends who have low grades at school or struggle with homework. The office also hosts a literacy workshop for sponsored elders and parents of sponsored children who are interested in learning to read and write. Maria stands proud with her eighth-grade students. Sometimes the best gift someone can receive is encouragement. That’s exactly what Maria, a 34-year-old mother of three from the Dominican Republic, received from her friends and loved ones. As a volunteer at the local Unbound office, Maria received lots of encouragement, and eventually a scholarship, from the community there when she made her decision to finish high school and pursue a teaching degree. Read more about Maria’s journey here. CFCA sponsored friends proudly wave the Dominican Republic flag. Sponsored youth Monica with CFCA sponsors Beridiana and Rafael. We start with our work in the Dominican Republic. And now, for your enjoyment, our top 10 stories about fathers! In no particular order. “Bob’s notes” are reports from CFCA President Bob Hentzen, who regularly accompanies awareness trip participants. You can see Bob’s full update on his Facebook page. Photo credits for this report go to the CFCA Dominican Republic staff and to Bob Hentzen. For me it is always a joy to travel with people who deeply believe in CFCA and deeply love their sponsored friends and their friends’ families. From north to south in the Dominican Republic, CFCA sponsors on this trip were fortunate to visit each of their sponsored friends in their homes. A good number of these sponsors have helped our CFCA preachers at weekend church presentations. 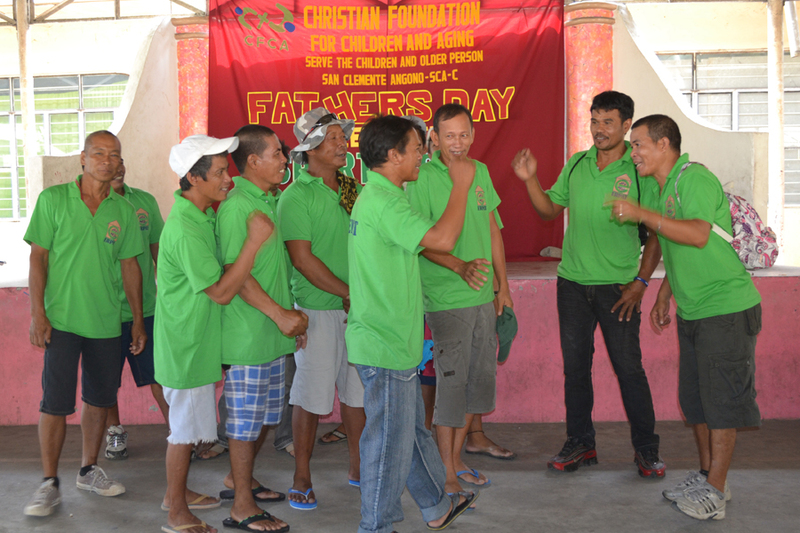 Others have organized CFCA Sponsorship Sundays at their church or have shared the work of CFCA in their own communities. Trip participants from this group continued this magnificent outreach by requesting more than 60 folders with family profiles and photos of children, youth and aging friends waiting to be sponsored. They will take the folders home with them in hopes of finding sponsors for the young and old who are on our waiting list.